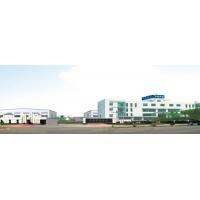 Liaoning Zhongye Technology and Industry Development Co., Ltd is one of the leading manufacturers in China, who dedicates all its power to produce and distribute digital printing machines, outdoor printing media, indoor inkjet printing media etc. Our company has 216 office workers, with strong technology researching and development team, including fourteen electronic engineers, twenty software engineers, twelve mechanical engineers, six test engineers, etc. The company, with 35,000 square meters production lines and over RMB50 million investments, is located in Chinese old industrial base Shenyang City, next to Dalian port of big international sea port. 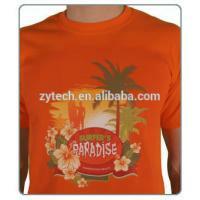 Over 2000 printing equipment is launched and RMB 300 million revenue is carried out per year. Since entering the advertisement industry in 1996, the company has been continuously developing with enterprise and innovations. In 1999, the company has developed to be one of the biggest manufacturers and distributors in the advertising printing business. 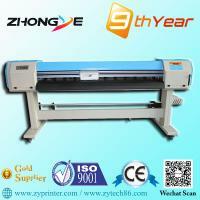 In the year of 2001, Zhongye Technology firstly developed large format printers and stabilized the quality of the products which well recognized by our clients all over the world. 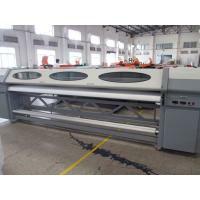 In 2002, Zhongye Technology entered the printing material production business, developed the technical innovation in the printing media production industry in China. With the reliable quality and reasonable price, the brand of Zhongye Kebao has been highly recognized all over China, and become first choice for customers here. Depending on the cooperation with Chinese Academy of Science and other scientific institutes and their strong technical cooperation, the company has been developing with innovations. 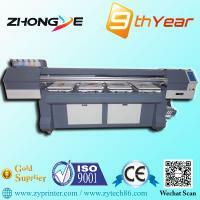 In the year of 2003, Zhongye Technology firstly developed 5 meter giant solvent printer. In 2005, Zhongye Technology again led the industry to research and develops the high resolution 720DPI printing machine for general users. It brought another technical revolution in the new generation. 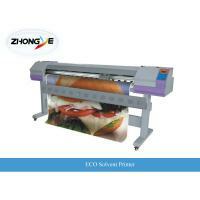 Since 2006，we have cooperated with Japan and developed solvent printer with high resolution 1440dpi. The warranty is 1 year, which means in the first year, the spares (not include the print heads and small spending spare parts) are free to be exchanged or repaired in case of some faults. In order to know better about the printer, customers can send an engineer to our factory for the training. The training cost is totally free. If customers would like to ask our engineer to customers' place, we can also give free service or training, but the cost of transportation (air plane tickets), the cost of applying visa and accommodation in customers' place need to be borne by customers' side. Plus, we have strong after-sale service department with experienced English speaking technician who can supply technical support any time by email, massagers, phone and all the other available methods. 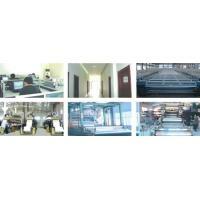 Our main products include solvent printers, Eco solvent inkjet printers, UV flatbed printers, printing media etc. The printed photos by our printing equipment are with the features of waterproof, UV proof, anti-scratching, etc. Our printing equipment are widely used in printing, packaging, textiles, building materials, advertising and other different areas.